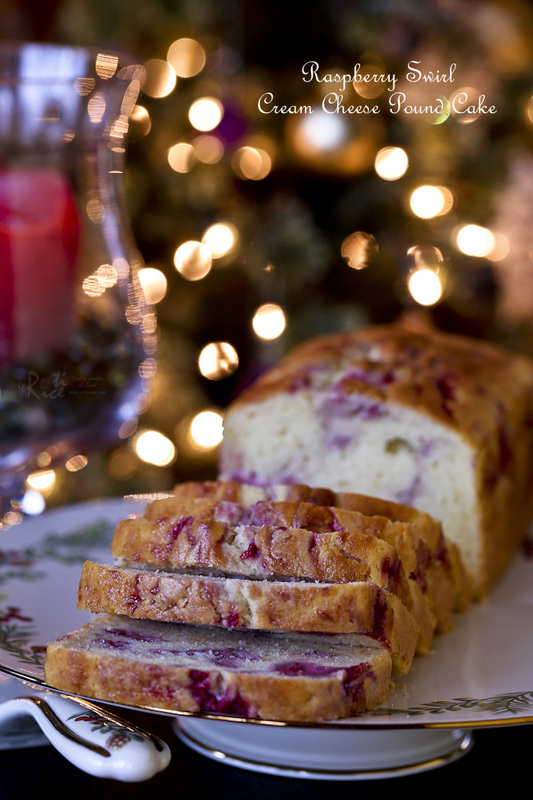 This fine textured Raspberry Swirl Cream Cheese Pound Cake is perfect for tea time or the holidays. It is wonderfully fragrant, moist, and delicious. As the holidays draw near, raspberries begin to go on sale at the grocery stores. These ruby red berries are just perfect for the season. They are not only sweet and juicy but pretty too. They make the most tantalizing desserts and give a pop of color to salads. It is no wonder they are so popular at this time of the year. The same goes with cream cheese. 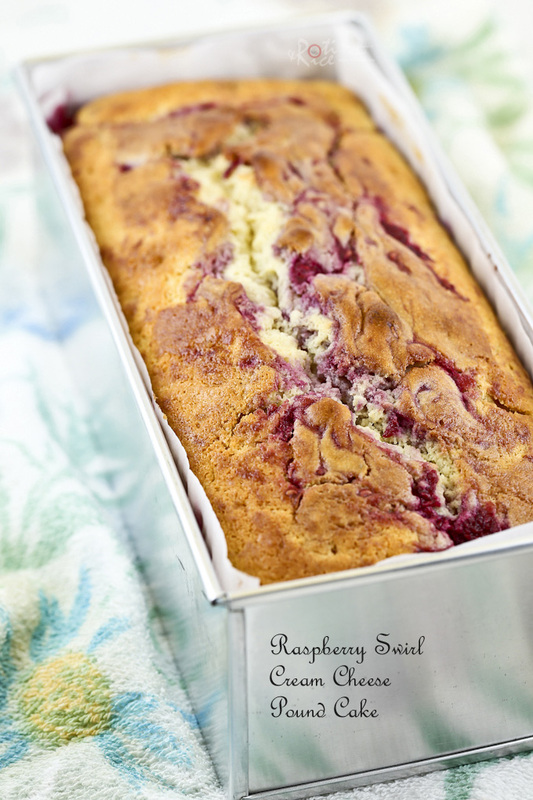 I quickly picked up a box together with a punnet of raspberries for this delightful Raspberry Swirl Cream Cheese Pound Cake. 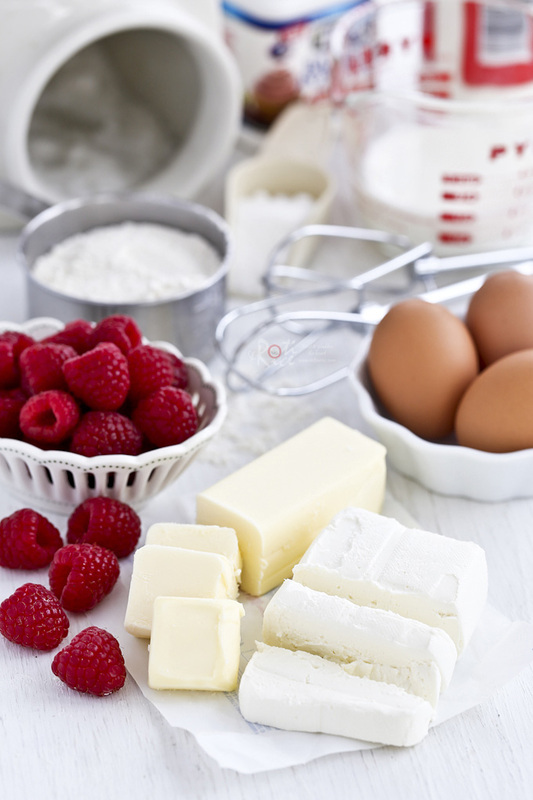 Truly, raspberries and cream and in this case cream cheese are a match made in heaven! They go so well together. This is the first time I am making pound cake using cream cheese and it will not be the last time as cream cheese lends fragrance and a fine even texture to the cake. I simply reduced the butter and added cream cheese in it’s place. I used the 1/3 less fat Philadelphia cream cheese but you can most definitely use the regular full fat cream cheese if preferred. The batter was a pale creamy color with a lot of volume. Looking at it, I knew the cake would be good. I was not disappointed as it rose nicely in the oven and filled the cake pan to the brim. Combine raspberries and sugar in a small saucepan over medium low heat. Roughly mash raspberries with a spatula, leaving some whole. This should take 2 to 3 minutes. Turn off heat and set aside to allow it to cool. Lightly grease an 8-in x 4-in loaf pan and line with parchment paper. Preheat oven to 350°F (180°C). Add half the flour mixture and half of the milk. Beat on low speed. Then add remaining flour mixture and milk. Continue to beat until combine. Pour half batter into prepared pan. Add half of the raspberry sauce. Swirl with a butter knife. Pour in remaining batter followed by raspberry sauce. Again, swirl with butter knife. Then gently tap the pan on the counter several times. Place in the oven and bake for 1 hour or until wooden pick inserted in the center comes out clean. 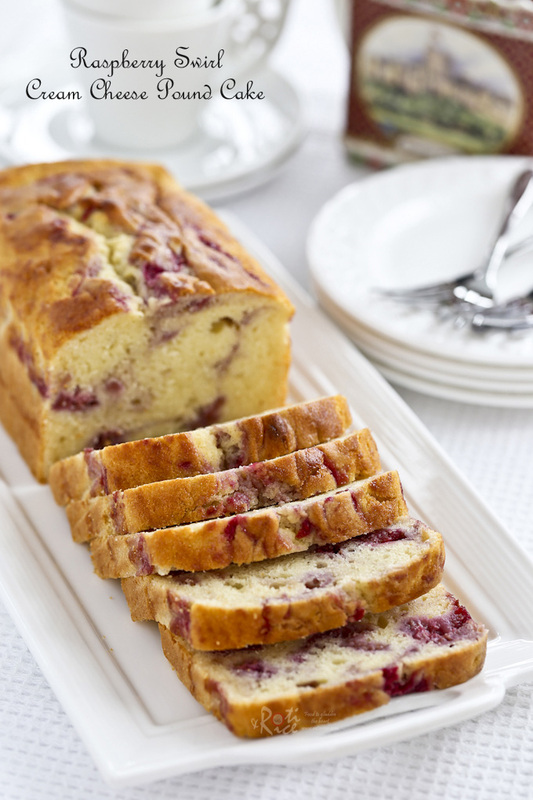 This fragrant, moist, and delicious Raspberry Swirl Cream Cheese Pound Cake was delicious as is without any frosting. For a more festive look and feel, a cream cheese frosting like the one I made for this Mango Cake would also be lovely. It is tasty either way. The choice is yours. Do give it a try. 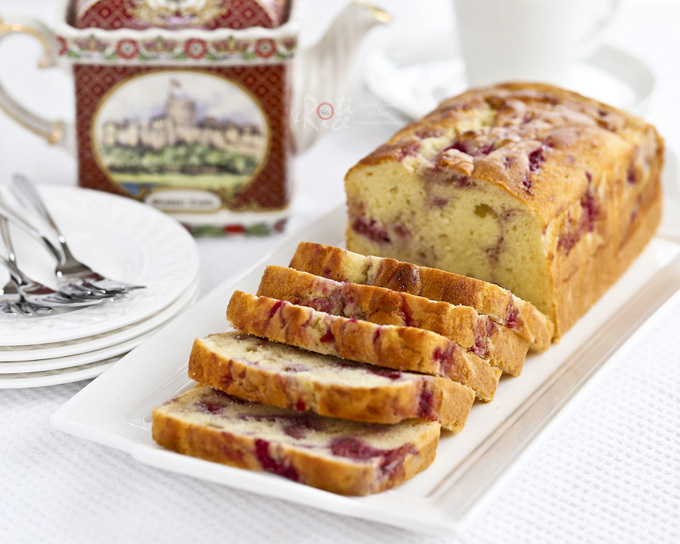 This pound cake is beyond gorgeous!! I can taste how moist and delicious it was just from the photos! You may have accidentally moved the slider for the servings from 12 to 24. Hover your cursor over the number 12 and you will see what I mean. This feature on the recipe card is for people who wish to adjust any recipe to feed more or fewer people. Maybe not for a cake but it is helpful for other kinds of recipes on this blog. Sorry, that happened to you.